Every once in a while, I get a goodie in the mail from Random House Canada....a new cooking/food book for me to review. I'm saying this up front, because I did not pay for these two books - they were sent to me, in hopes I might say something nice about them. 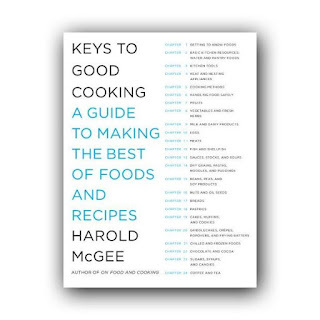 The first book, one that I whole heartedly recommend to anyone who wants to learn a little bit more about how recipes work, and why certain recipes are more successful than others, is called "Keys to Good Cooking - A Guide to making the best of foods and recipes" by Harold McGee. 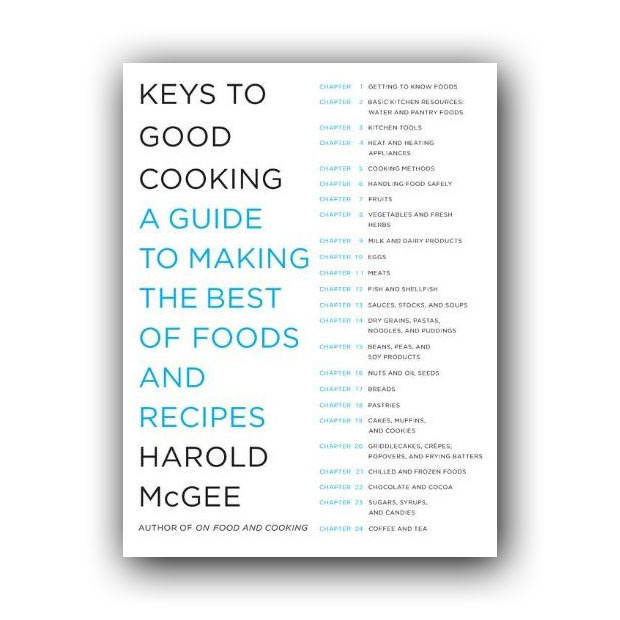 I'm totally behind the 8-ball here - there are TONS of great reviews of this book already (check them out for yourself here: http://www.google.ca/search?sourceid=chrome&ie=UTF-8&q=%22keys+to+good+cooking%22+review+%22harold+mcgee%22 ) . This book is comprehensive and really informative. For example, I learned that I should NEVER let my braises boil, because as soon as meat's temperature goes over 80C, it's no good. Rather, I should cook my braises at a much lower temperature (55-60C) for a longer time to ensure a tender, delicious, melt-in-your mouth result. I find that useful. This book is at a perfect level for the curious home cook - it explains things without being over the top and I actually really enjoyed reading it. I'm going to probably read it again a couple of times, and I'll likely be referring to it for the rest of my culinary life. So I'd give this book a buy, particularly given that its steep sticker price ($42) has now been knocked down to $26 at Amazon.ca. 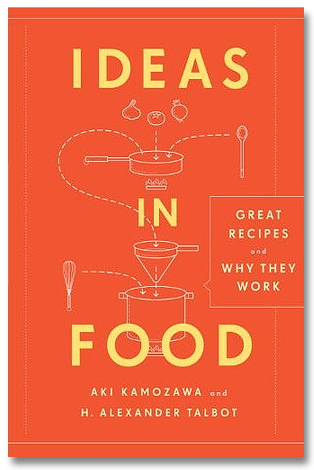 This book is absolutely worth the shelf space in your kitchen. 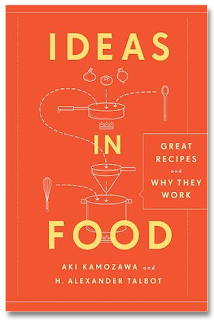 And now for the other book......the premise is similar - "Ideas in Food: Great Recipes and Why they work" (by Aki Kamozawa and H. Alexander Talbot), but the execution could not be more different. The reviews on the back are from some pretty impressive names - Grant Achatz (of Alinea fame), Michael Anthony (Gramercy Tavern) and Chris Cosentino. However, this is actually your first clue that this book is not for the average home cook. I found this book GRUELING and frustrating to read. First, the book really does insist on the necessity of a circulating water bath, vacuum sealer, a pressure cooker and second, it advocates (though does not insist on) the use of a number of gelling additives that I prefer not to use at home (xanthan gum, carageenan, etc.). I don't know about you, but I consider myself pretty into food...I like cooking and I love to experiment. This book made me feel totally inadequate because I don't have $500 to lay down for a sous vide circulator (http://www.surlatable.com/product/sousvide+supreme+water+oven.do ), $150 for a vacuum sealer (http://www.surlatable.com/product/677492.do ) or the money for a home smoker, etc. Even if I did have the $$, I'm not sure I'd want to sacrifice the space! Anyway, the book does use a fairly high level of language, and it's interesting, but frankly, most of what the book suggests (and most of the book's recipes) can't really be done in my own kitchen, as it stands now. And I thought I had a pretty well-equipped kitchen. I will admit to a bit of bias while reading the book....I started reading it just prior to New Year's, when my resolutions were ringing strongly in my head (more natural food, less fat, less saturated fat, etc.) and so all of these additives and high fat/low fibre food were just not what I wanted to be reading about. good reviews, i added the first book to my wish list so I can remember it when my list isnt so full, it sounds like a great book! I love reading about molecular gastronomy and the kinds of things that people like Ferran Adria are going, but the whole premise of sous vide (cooking in plastic) gives me the willies. That said, thanks for your reviews. I am really looking forward to the next! Oh, and Happy New Year!